MANILA, Philippines - After Floyd Mayweather’s second consecutive victory over Marcos Maidana last week, the pool of potential opponents has grown smaller. When asked about a fight with Pacquiao, 35, of General Santos City, Philippines, the undefeated five-division champion echoed a familiar tune - it’s my way or the highway. "If the Pacquiao fight does happen it has to happen on Showtime pay-per-view only and Mayweather Promotions have to do the fight,” said Mayweather. Pacquiao’s fights are televised by rival network HBO. He last fought on Showtime in 2011, defeating Shane Mosley by decision before returning to HBO. This comes as Pacquiao has renewed his challenge to Mayweather, telling Agence France-Presse: "I'm tired of his alibis. If he really wants to fight me, he knows how to reach me. We can fight anytime, anywhere." Mayweather is advised by Al Haymon, who has been adversarial towards Top Rank and its CEO Bob Arum, while receiving promotional support from Golden Boy, which has thawed its icy rivalry with Top Rank in recent months since the departure of former CEO Richard Schaefer. Bradley to avenge a 2012 defeat, the property prominently promoted Mayweather’s first bout with Marcos Maidana, plastering a banner on the side of the building with Mayweather’s face that read “Home of the champion,” while hosting a Maidana press event the week of the fight. "At the moment I want to go home, have a break, spend some time with my children and then see who's next in May. Hopefully it's Manny Pacquiao,” said Mayweather. "Manny needs to focus on the guy that's in front of him. Once he gets past that task we'll see what the future holds." Nevada boxing officials to answer questions about a program that ran on Showtime prior to the Maidana rematch. In the program, women are seen allegedly smoking marijuana in the gym, while in another scene two heavyweight boxers sparred as Mayweather and his associates bet on the action. MONEY WALKS. 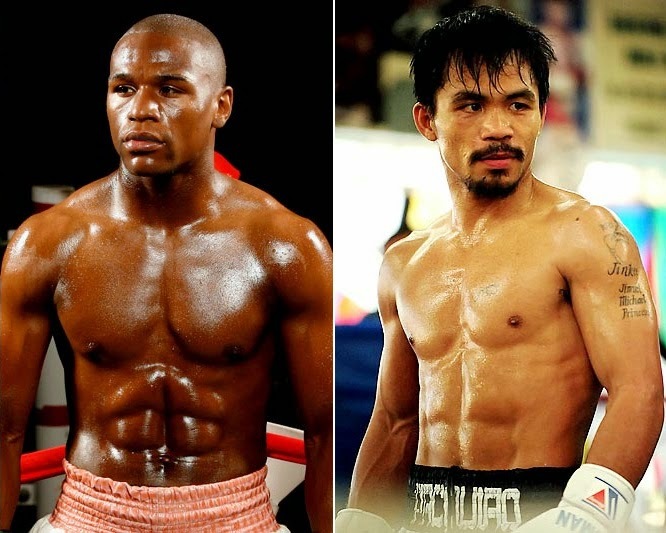 Floyd Mayweather Jr has revised his list of demands to make the elusive Manny Pacquiao fight.